CBS Southeast provides sales and repair, upgrade, reconditioning and life extension services of utility - industrial circuit breakers, motor control, switchgear, substations, transformers and other electrical equipment. Replacement parts are our specialty. On-site emergency service is available 24/7. 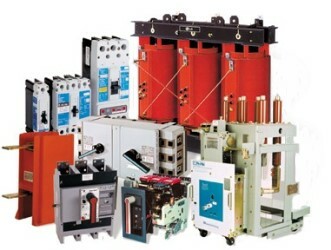 Additionally, we provide remote circuit breaker racking systems and remote switch operators/actuators to help ensure the safety of your electrical maintenance personnel. Our complete range of shop and on-site emergency services, and thousands of new, surplus and remanufactured electrical equipment and parts are available to support you 24 hours a day, 365 days a year. Based in Gonzales, Louisiana we serve the Gulf Coast Region including New Orleans, Baton Rouge, Lafayette, New Iberia and Franklin. To discuss your application, obtain pricing or for additional information, please contact us at 225-673-2278 or by email at info@CBSSoutheast.com.